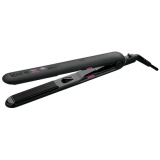 STUNNING 2-IN-1 RESULTS WITH ULTIMATE CONTROL For perfect straightening and luscious curls, Liss & Curl 2-in-1 Straightener is an exceptional styling tool with endless options, featuring an LCD screen for ultimate digital temperature control. An exclusive Ker.. 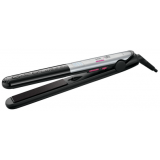 CONTROLLED STRAIGHTENING AND PERFECT SHINY RESULTS Straightener Optiliss is a high-performance styling tool that delivers perfect straightening results with high temperature control. An exclusive Keratin & Tourmaline coating enhances hair with a natural boost.. 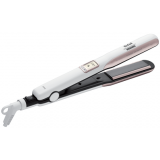 GLAMOROUS STRAIGHTENING AND CURLING, PROTECTED HAIR* Respectissim Liss & Curl is an exceptional straightener that provides anti-breakage straightening*, one-stroke efficiency, and high-precision digital temperature control with an LCD screen for maximum protection. Featuring a ..